FRIDAY FRIENDAY IS BACK! If you're unfamiliar with what you're about to sink your teeth into, then take a look back through the archives of some of our previous entries. These posts are all about showing our appreciation for other amazing South Australian businesses and brands. So without further adieu, let's kick it off with none other than Troppo Architects. We're very fond of everything that the creative minds at this iconic South Australian architecture firm create. 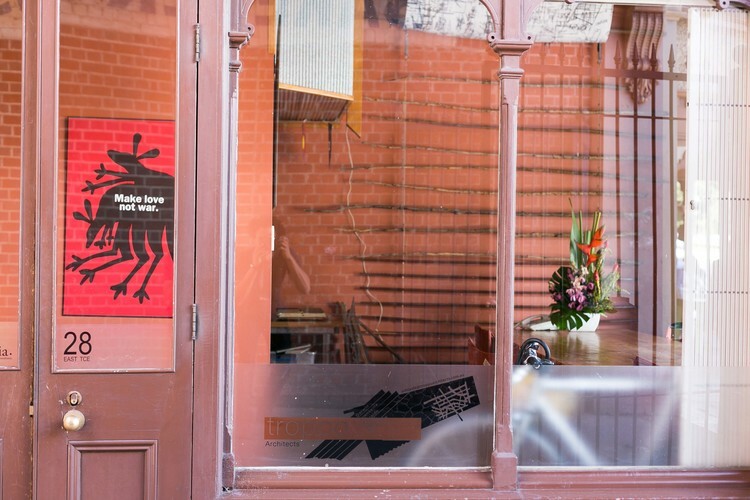 We've paid homage to their successful and simply amazing cafe, Cafe Troppo, in the past. But now it's time to acknowledge the team behind it. Troppo Architects was founded in response to the need for more robust housing following the devastation caused by Cyclone Tracey in the Northern Territory. Phil Harris and Adrian Welke founded the business and together, with their small team of intelligent and hard working architects, have been picking up awards left, right and centre. They're the true definition of the term quiet achievers; having picked up so many local, national and international awards, it would take us a lot of time to even begin listing them here. Instead, you can visit their website and take a look for yourself. Perhaps most impressively though is Troppo's latest award, The Peter Dermoudy award for Commercial Architecture. They were awarded this significant honour for the work they've been doing in the APY lands, designing modular and transportable housing for communities in Kakadu, NT. Congratulations, Troppo! For the team, it's all about designing Eco-Friendly, Green buildings that use locally sourced materials to passively cool and insulate the structure. With Adelaide keenly focussed on becoming Australia's first Carbon Neutral City, we couldn't think of a more suitable candidate to kick off our Friday Frienday posts after such a long absence. Pay Cafe Troppo a visit in the near future, or if you're a beach dweller, take a look at Henley Square, which they recently redeveloped.